Please join me and Stella & Dot in promoting breast cancer research and awareness. 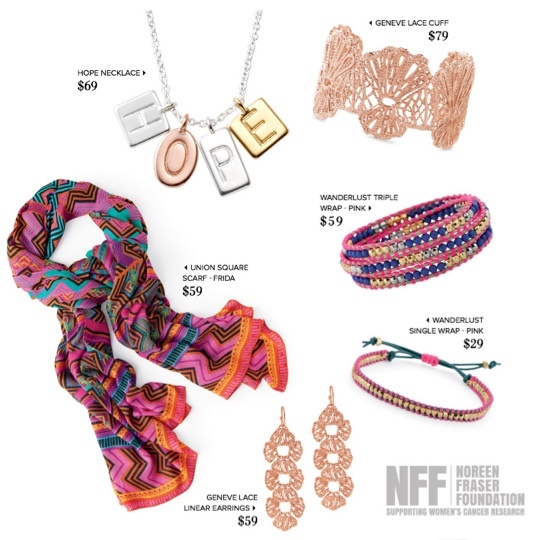 For the month of October, Stella & Dot is promoting a Breast Cancer Awareness Collection, there are six wonderful pieces to choose from and for each one purchased all net proceeds will go to the Noreen Fraser Foundation. You will feel good when you Shop for a Cause! I am personally LOVING the scarf ! !